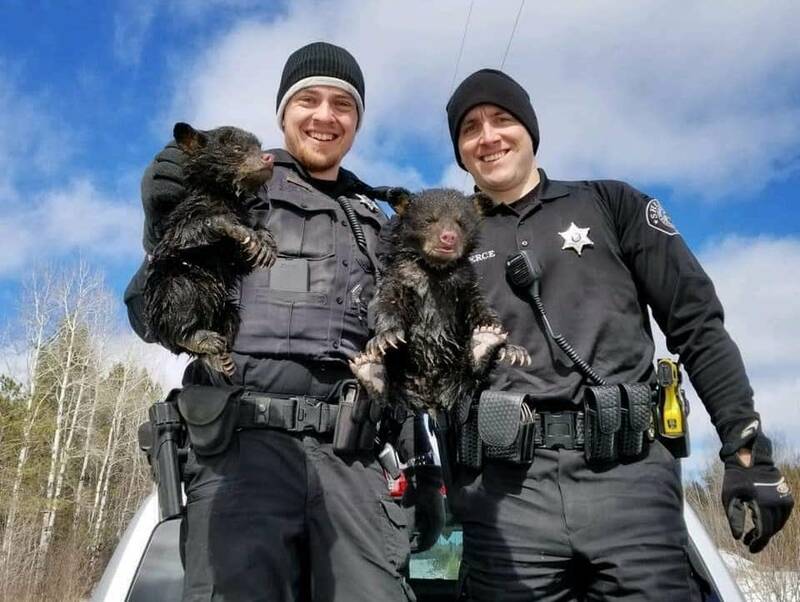 Two northern Wisconsin sheriff's deputies rescued a pair of bear cubs trapped in a flooded culvert that had served as their den. The Ashland Daily Press reported that Ashland County deputies Zach Pierce and Dylan Wegner discovered the baby bruins Friday near the Bad River Indian Reservation in northern Wisconsin. Pierce said the cubs were soaked and cold, so they brought them into their squad car to warm up. Pierce said they realized they risked angering the cubs' mother, who was nearby. He said she was slow and groggy from waking up and "the little cubs were screaming and crying like crazy."